Asus company has launched Asus Zenbook UX31 netbook in Indian market. Asus Zenbook UX31 World’s thinnest Netbook, The new thinnest Asus Zenbook UX31 equipped with a ASUS exclusive Super Hybrid Engine II with instant on 2 second resume, four to five times the standby time, automatic data backup and recovery, and 25% longer battery life. 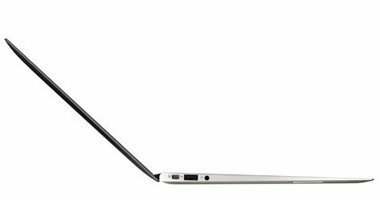 Specification wise the New Asus Zenbook UX31 is power is provided by Second generation Intel Core processor and features a SATA Revision 3.0 solid state storage of 256GB (SSD), Intel HD Graphics, Intel QS Express chipset, and Window 7 operating system.. The Asus Zenbook UX31 ultrabook include Bluetooth, Wi-Fi connectivity and mini HDMI, VGA port and 2-in-1 card reader.